If you suffer from dry cough often and want to know how to get rid of dry cough naturally, then a wonder treatment is here. A dry cough is a natural reflux to irritation or inflammation caused due to allergies or infections in the throat and chest. These pollutants (mostly viruses) may remain within your body for several days. 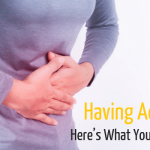 This without your conscious attention causes the natural healing forces of your body to kick in and start fighting them off by producing the symptoms. Homeopathy for dry cough works by eliminating the root cause for overall healing to take place. So while taking a homeopathic consultation , you might notice a homeopath giving more stress to your specific symptoms and their origin. For a homeopath no two patients are same since the same illness can have varying patterns-mental, emotional, or physical on different individuals. A cough itself is not a problem but is in actual a side product of our vital forces coming into action. Unlike a wet cough which is accompanied by fluid secretions and mucus, a dry cough produces no phlegm or mucus. But a dry cough itself can cause trouble sleeping or breathing properly. Common cold and flu are the most common factors for dry cough but sometimes psychological factors such as stress may also impact the airways for dry cough to happen. If you prefer homeopathy as a treatment for dry cough, it stimulates your own vital forces for self-healing to take place. What we have been trained since the coming up of western medicines is to see of symptoms as something not good and needing immediate attention. But it is in actual the natural healing forces trying to restore the imbalances. So, how long should one wait and bear these symptoms? Normally one should wait only till the symptoms seem transitory with less panic and discomfort. 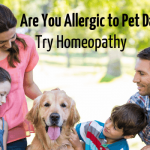 But if they exceed more than their acceptable levels and start affecting your routine activities, homeopathic help is needed. 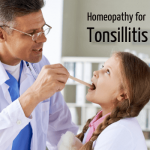 Homeopathy serves as the best treatment for dry cough since it is all natural and safe. Further, the persistent use of over the counter drugs can disrupt your body’s natural healing abilities. Conventional medicines are palliative and may lead to recurring patterns of the illness but homeopathic remedies work on the inner root cause bringing a long lasting relief. A homeopath believes that a cough is just a natural response of body working to correct the inner disturbance. Even studies are now pointing out how conventional treatments are harmful in long run with findings telling us that they give no significant benefit in treating a cough condition. A homeopath looks on the cough as an indication of body’s healing forces coming into action. So it is highly advisable for you to treat your cough with homeopathic remedies. One should be very alert on noticing the symptoms of a dry cough, especially in infants or children since they are more prone to suffer from this condition. Suppressing the symptoms with over the counter drugs gives only a temporary relief. Visit a homeopathic doctor nearby or book a consultation session with us. Since the homeopathic treatment is highly personalized, a homeopath may ask you questions such as- what type of a cough it is? Is it paroxysmal or spasmodic? What time of a day it is at peak? What kind of sound do your cough has? What kind of weather or environment aggravate the symptoms. The above questions help a homeopath well ascertain the symptoms to help set the right prescription. Note: Please consult a homeopath before self medication of these remedies. 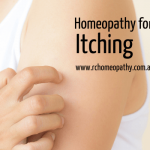 The list given above not in any way replaces the advice of a homeopathic practitioner. If you still have any doubts or concerns, drop me a message at info@RChomeopathy.com.au and I will get back to you soon.